The Income Declaration Scheme 2016 has been framed under Chapter IX of the Finance Act 2016. As per Circular No. 16/2016, scheme received the assent of the President on 14-05-2016The scheme shall come into force on 01-06-2016. It comprises sections 181 to 199 of Finance Act 2016. In this article an attempt has been made to consolidate the entire law published till date on the Scheme. The declaration under the Scheme can be made on or after the date of commencement of this Scheme but before a date to be notified by the Central Government in the Official Gazette. As per Notification No. 32/2016 dated 19-05-2016, the declaration u/s 183(1) can be made till 30-09-2016. Declaration can be made only against income chargeable to tax under Income Tax Act. However , if a person makes declaration in respect of income which is not chargeable to tax under Income Tax Act, say, a person makes declaration about capital receipt or exempt income, such declaration shall not come under the purview of Income Declaration Scheme but as per Section 191 of the Scheme the tax and surcharge paid u/s 184 or penalty paid u/s 183 shall not be refundable. However, if only tax or only surcharge is paid, whether section 191 shall operate is not clear from the scheme. Hence declaration can be filed up to Assessment Year 2016-17 only. Any person can make declaration. 1. Declaration can be filed for failure to file return u/s 139(1) as well as u/s 139(4). 2. Apparentely, Failure to disclose income in a return may , however , can be u/s 139, 142, 148 or 153A. However S.183(1) is subject to provisions of the scheme . As per Section 196 the scheme shall not apply where notice is issued u/s 142,148 or 153A. Hence again failure to disclose income in return u/s 139 can be made up under the scheme where proceedings under other sections have not been initiated. 3. Escapement of Income by reason of omission or failure on part of declarant can only be covered under the Scheme. Where the assessee has already made a disclosure in return in good faith and income has not been charged to tax and now assessee wants to get away by availing the benefit of this scheme, may find it difficult to get covered by the provisions of this Scheme . As per Section 183(2) , FMV of asset on 01-06-2016= Deemed Undisclosed Income u/s 183(1). As per Section 183(3), FMV of an asset shall be determined in prescribed manner. However section 183(1) does not mention about Undisclosed Income. Hence the anamoly, ostensibly seminal, may mar the entire scheme. ii) The price such artistic work shall ordinarily fetch if sold in the open market as on the 1st day of June, 2016, on the basis of the valuation report obtained by the declarant from a registered valuer. ii) The price such property shall ordinarily fetch if sold in the open market as on the 1st day of June, 2016, on the basis of the valuation report obtained by the declarant from a registered valuer. As per Rule 3(2), The fair market value of the asset determined in accordance with sub-rule (1) shall be reduced by an amount which bears to the value of the asset as on the 1st day of June, 2016, the same proportion as the assessed income bears to the total cost of the asset . As per Section 183(4), No deduction in respect of any expenditure or allowance shall be allowed against the income in respect of which declaration under this section is made. The provision is similar to one contained in S.69C and S.115BBE. 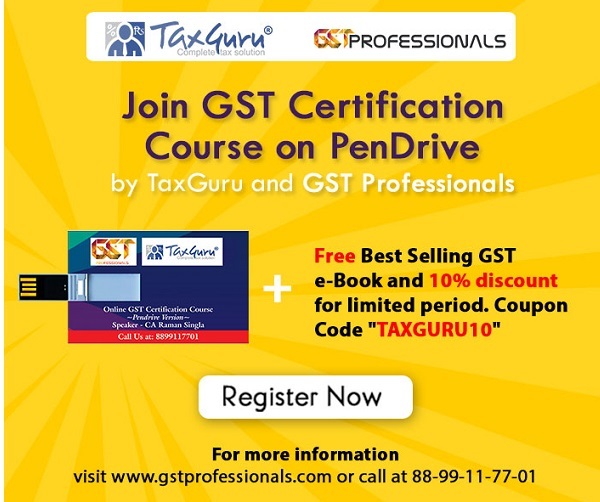 Although there is no specific bar under the Scheme for setting off any loss as introduced by Finance Act 2016 u/s 115BBE, but since as per Section 188, income declared under the Scheme shall not be included in total Income for any assessment year, there is no implication even if section 183(4) is silent about setting off of loss. Since Charging section 183(1) is silent about undisclosed Income, operation of S.184 and 185 may also become doubtful. The Income of the assessee under Income tax Act may be chargeable to tax at concessional rates say 10% rate for royalty and Fee for technical services or 15% rate for Short Term Capital Gain on listed shares. Also the assessee under the Finance Act may be eligible for basic exemption limit or may be taxable at slab of 10% or 20%. The assessee, if foreign Company may be taxable @ 40%. Further there may be a surcharge of 12% on Income exceeding 1 crore. But rates under the Scheme have overriding impact over the Income Tax Act and the Finance Acts. As per Section 186(1) declaration shall be made to Principal Commissioner or Commissioner. Form and Verification of declaration shall be prescribed u/s 186(1). The provisions for manner of furnishing of declaration are absent. As per Section 199(2), rules may provide for the form in which a declaration may be made under section 183 and the manner in which the same may be verified. Again S.199(2) is also silent about framing of rule regarding furnishing of declaration. Inquiry in respect of Declaration As per Circular No. 17/2016 dated 20-05-2016, in Q.No.12, it is mentioned that After the declaration is made the Principal Commissioner/ Commissioner will enquire whether any proceeding under section 142(1)/143(2)/148/153A/153C is pending for the assessment year for which declaration has been made. Apart from this no other enquiry will be conducted by him at the time of declaration. Proof of payment of tax, surcharge and penalty The proof of payment of tax, surcharge and penalty made pursuant to the acknowledgement issued by the Principal Commissioner or the Commissioner shall be furnished by the declarant to the such Principal Commissioner or Commissioner in Form 3. Comments: There is no specific requirement to attach power of attorney along declaration where Signatures are done by authorized person. But power of attorney must be attached as evidence of authorization. Where the declarant is any other person By that person or by some other person competent to act on his behalf. Any person, who has made a declaration under sub-section (1) of section 183 in respect of his income or as a representative assessee in respect of the income of any other person, shall not be entitled to make any other declaration, under that sub-section in respect of his income or the income of such other person, and any such other declaration, if made, shall be void. 20. Time for payment of Tax etc. As per Section 187(2), The declarant shall file the proof of payment of tax, surcharge and penalty on or before the date notified under sub-section (1), i.e. 30-11-2016 with the Principal Commissioner or the Commissioner, as the case may be, before whom the declaration under section 183 was made. As per Section 187(3), If the declarant fails to pay the tax, surcharge and penalty in respect of the declaration made under section 183 on or before the date specified under sub-section (1), the declaration filed by him shall be deemed never to have been made under this Scheme. Comments: S.187(3) deals only with consequences of failure to pay . It does not say that if a person fails to submit the proof of tax etc with in time limt, then also the declaration shall never be deemed to have been made. Further, if declaration is deemed to have been never made, whether department can make use of the information coming to its possession under the Scheme ? As per Section 197(b), income is chargeable to tax in the previous year in which declaration is made. The declarant shall not be liable for any adverse consequences under the Scheme in respect of, any income which has been duly declared but has been found ineligible for declaration. However, such information may be used under the provisions of the Income-tax Act. Comments: If the declarant fails to pay tax etc with in time specified u/s 187, only then undisclosed Income shall be excluded from total Income. However, if tax etc is not paid with in due time, then undisclosed income may be included in total income. Further, late submission of proof shall not have any impact on inclusion/exclusion of undisclosed Income i.e. undisclosed income not to be included in total income where merely proof of tax etc is submitted late. A declarant under this Scheme shall not be entitled, in respect of undisclosed income declared or any amount of tax and surcharge paid thereon, to re-open any assessment or reassessment made under the Income-tax Act or the Wealth-tax Act, 1957, or claim any set off or relief in any appeal, reference or other proceeding in relation to any such assessment or reassessment. Comments: Section 189 bars the reopening of assessment or reassessment. However, it should have been further extended to take care of revision also. Further Section 189 talks about disentitlement of declarant but not the privilege of Income Tax department to reopen the assessment. Further the declarant is barred from claiming any relief in appeal in respect of income declared under the scheme. It means if the assessee’s income declared is say also the subject matter of appeal, he shall have to contest the case on its standalone merits. The assessee can not take the advantage of income declared in the scheme while pleading his appeal. As per Circular 17/2016 dated 20-05-2016 under such circumstances, the declarant can however, declare other undisclosed income for the said assessment year which has not been assessed under the Income-tax Act. As per section 191, Any amount of tax and surcharge paid under section 184 or penalty paid under section 185 in pursuance of a declaration made under section 183 shall not be refundable. Comments: Although the amount paid under the scheme is not refundable but , In case a declarant , say, instead of paying tax in HUF capacity pays in Individual capacity, whether the same can be adjusted to HUF’s declaration should be clarified in this regard. for the purposes of prosecution under the Income-tax Act or the Wealth-tax Act, 1957. Notwithstanding anything contained in this Scheme, where a declaration has been made by misrepresentation or suppression of facts, such declaration shall be void and shall be deemed never to have been made under this Scheme. As per Section 194(2), the exemption from Wealth Tax shall not apply unless the conditions specified in sub-sections (1) and (2) of section 187 are fulfilled by the declarant i.e. unless tax, surcharge and penalty is paid with in due date. b) The Contents of declaration are not admissible in evidence against the declarant. At the onset, the purpose is to disincetivise the assessee for not making the declaration under the scheme and provide for higher valuation of asset by providing deeming provisions but scheme of fixing the year of deemed accrual or acquisition is not clear. E.g. As per 197(c) for assessment year 2016-17, notice u/s 148 for undisclosed income of AY 2016-17 is issued on 30-09-2018 , then income shall be deemed to have accrued in 2018-19, being the year of issue of notice and not in previous year 2015-16 relevant to assessment year 2016-17. In such a case, how shall AO assess the assessee, when the income itself is not deemed to have arisen in AY 2016-17. Further the Income tax law has not been amended to provide for such fiction. As per Circular 17/2016 dtd 20-05-2016 , Where declaration found hit by S.196, whether 197(c ) shall apply ? The Board has stated that In respect of such undisclosed income which has been duly declared in good faith but not found eligible, then such income shall not be hit by section 197(c) of the Finance Act, 2016. However, such undisclosed income may be assessed under the normal provisions of the Income-tax Act, 1961. However, if order of detention has been revoked under COFEPOSA or has been set aside by Court of Competent Jurisdiction, the person can avail the benefit of this Scheme. For the purposes of declaration under the Scheme, it is clarified that the person will not be eligible under the Scheme if any notice referred above has been served upon the person on or before 31st May, 2016 i.e. before the date of commencement of this Scheme. Further In the form of declaration (Form 1) the declarant will verify that no such notice has been received by him on or before 31st May, 2016. Comments: In such a case the declarant shall be able to make a declaration even for the previous years before the year in which survey is conducted, although incriminating material for such period is in the possession of the department. ‘‘(5) Where the capital gain arises from the transfer of an asset declared under the Income Declaration Scheme, 2016, and the tax, surcharge and penalty have been paid in accordance with the provisions of the Scheme on the fair market value of the asset as on the date of commencement of the Scheme, the cost of acquisition of the asset shall be deemed to be the fair market value of the asset which has been taken into account for the purposes of the said Scheme.’’. It means period of holding to be reckoned from 01-06-2016. As per Section 195 of Finance Act, 2016 section 138 is applicable to declarations made under the Income Declaration Scheme. As per Circular No. 17/2016 dated 20-05-2016, therefore, the information in respect of declaration made is confidential as in the case of return of income filed by assesses. Conclusion: The above discussion reveals that all the nuts and bolts of the Scheme have not been screwed up properly. While the Scheme shall become operational from 01-06-2016, there is requirement to reduce the load of information required for making declaration under the scheme. Further the valuation date being 01-06-2016, the declarant may end up paying high amount of tax. The success of the scheme shall depend upon the political willingness of the Government with full throttle . If any half hearted attempts are made, the masses shall refrain from the scheme.